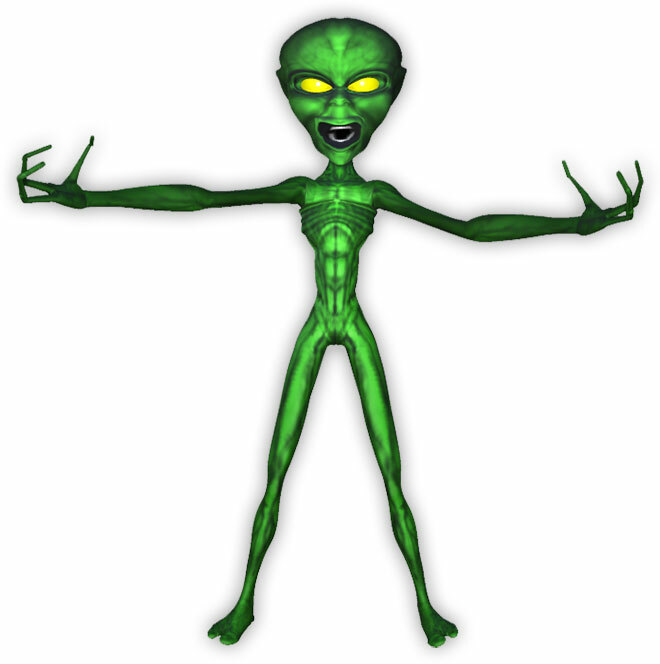 These funny looking green guys were designed and created using Poser software. This includes the animated aspects as well. Our sci-fi graphics may also be used on personal web space such as social media. Alien in need of a hug? Just because he comes from Planet Zombie we wouldn't want to prejudge. Alien hunting for food or playing catcher for the Yankees? Green three fingered alien waving goodbye. 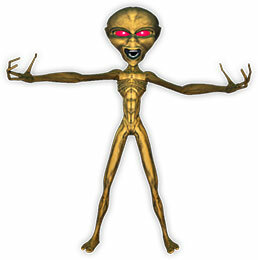 Grabby the alien. Perhaps he is just glad to see you. Alien with some fine dance moves. Maybe, old moves. 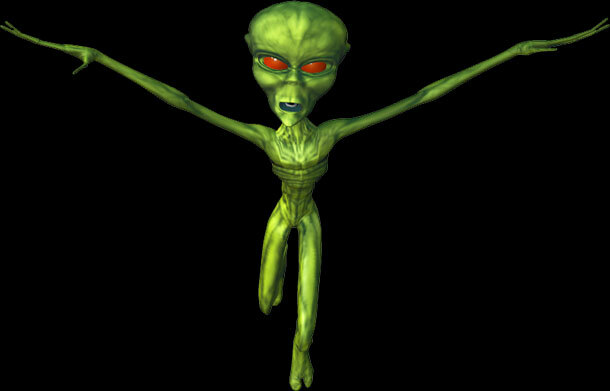 Flying alien with red eyes on a black background. If you save and use our space clipart please give us credit for our work. 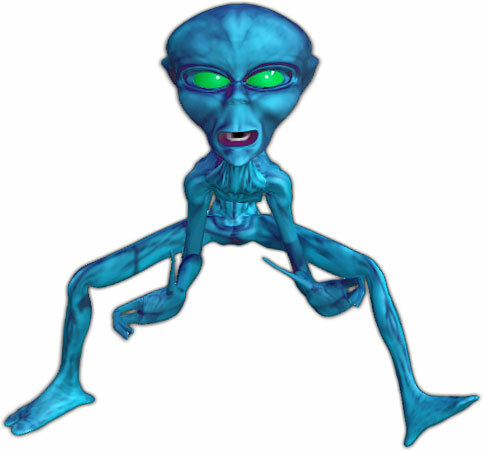 You may use our space alien animations to enhance your website. Fun aliens, science fiction, alien graphics, space aliens.